A leather-free upper stays true to the original Stan Smith design with a few, subtle differences. Smith’s face on the right sneaker is joined by Stella’s portrait on the left. 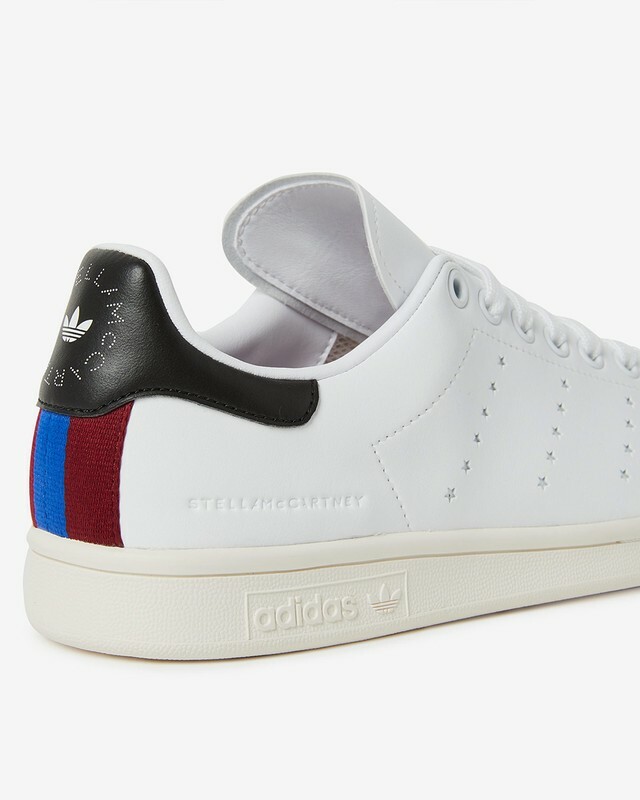 Lines of stars replace the signature adidas three stripes, while the Stella McCartney’s logo and a burgundy and blue stripe are found at the heel.